Greensboro, N.C. – Carruthers & Roth director J. Patrick Haywood has been named a Senior Fellow of the Litigation Counsel of America (LCA), an invitation-only trial lawyer honorary society limited to less than one-half of one percent of American lawyers. Patrick has been a LCA Fellow for seven years. 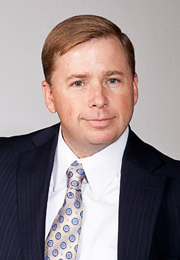 As a commercial litigator who leads the firm’s Construction Industry Team, Patrick represents owners, developers, contractors, subcontractors, suppliers and other industry professionals in wide range of construction-related matters – from transactional contract development and disputes to contract and lien claims tried in the courts or settled through arbitration. In addition to his active practice in Construction Law, Patrick is experienced in zoning, land use and property tax valuation issues – representing his clients both in litigation and before local governing boards. Patrick is certified by the North Carolina Dispute Resolution Commission to conduct Mediated Settlement Conferences in Superior Court cases and utilizes his litigation experience to assist conflicting parties in resolving their disputes through effective facilitation. Patrick has been recognized for his professional excellence in publications such as Best Lawyers in America ® (2018), North Carolina Super Lawyers (2015-2018), and Business North Carolina’s “Legal Elite” (2008-2018). He received his B.A. from North Carolina State University in 1994 and his J.D. from the University of North Carolina School of Law at Chapel Hill in 2001. Fellowship in the LCA is by invitation only. Fellows are selected based upon excellence and accomplishment in litigation, both at the trial and appellate levels, and superior ethical reputation. Senior Fellow status in the society is reserved for advanced commitment to and support of the LCA, Diversity Law Institute and Trial Law Institute.